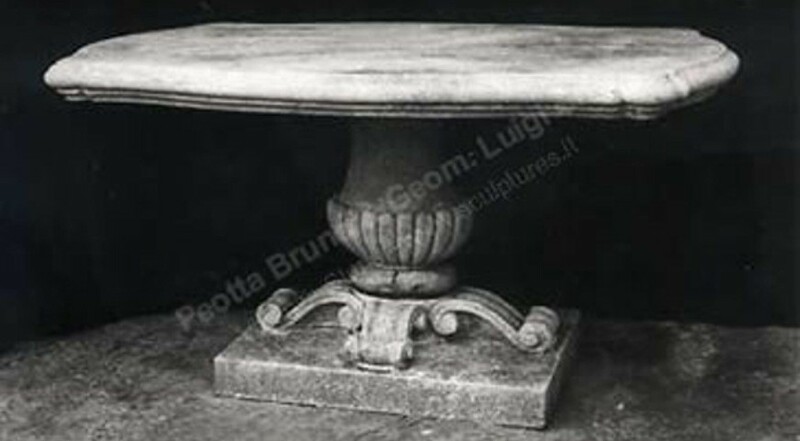 Rectangular table with decorated base and plain top for gardens and outdoor use. Bugne decorations are carved on the base. The top is engraved on each side. Dimensions: Height 30" x Width 59" x Depth 33"
Our catalog of hand-made sculptures offers a large selection of outdoor benches and stone tables for garden furnishing. These stone garden furniture, customized or selected from our various offers, are ideal for the furnishing of public or private parks. Nothing better than a garden table or a bench carved from Vicenza stone can decorate and give a personal touch to your outdoor space.